Despite warming relations between the Philippines and China, Manila will not sever ties with its long time ally the United States, Philippines new envoy to China has said. The Philippines are undertaking “a strategic shift in foreign policy,” according to the country’s new ambassador to China Jose "Chito" Sta. Romana. The assurance comes despite the harsh, sometimes crude statements from Philippines President Rodrigo Duterte, which led many to believe that the Philippines leader had turned away from the US and was looking toward China. "We were one-sidedly imbalanced in favor of the US,” he said. “We are not abandoning our alliance with the US ... We are basically trying to normalize our relations with China." “The Chinese viewed the Philippines as a geopolitical pawn or Trojan horse of the US. Now they look at us as a friendly neighbor,” Romana added. The Philippines have been one of the most loyal and long-term allies of the US in the South Asian region, but President Duterte has threatened to end the relationship on numerous occasions. 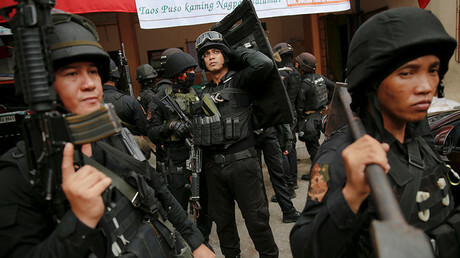 Tensions between the two countries escalated after Duterte’s hardline stance on drugs and crime, which has already claimed more than 3,000 lives, drew heavy criticism from the US and the United Nations. In its anti-drug crusade, the Philippines have dismissed any allegations of human rights violations, unlawful executions and police brutality, stating that they did not need any “lectures” from the US. 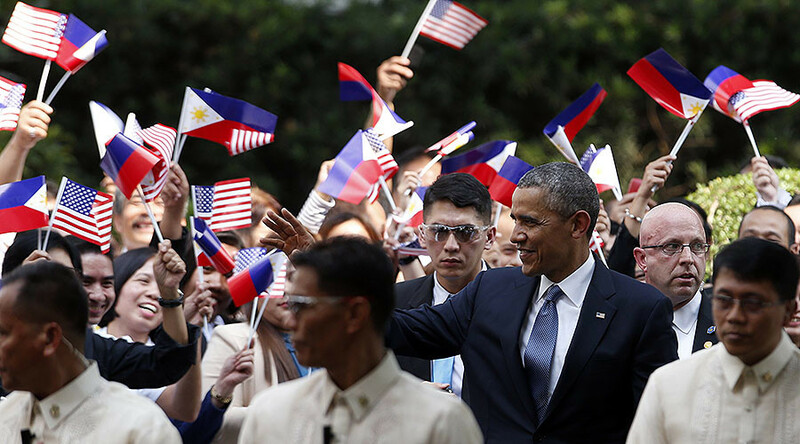 Following a series of media spats and personal insults directed at the outgoing US President, Barack Obama, the Philippines leader appeared to turn away from the US and looked toward China. China, unlike the US, respects the “internal affairs” of the Philippines, the new ambassador said. In November, Duterte canceled the purchase of over 26,000 US rifles for the national police force after the US decided to halt the sale over alleged human rights violations. The Philippines leader last month threatened to cancel a signed 1998 pact between the US and the Philippines if the US did not renew a large-scale aid package. The pact allows the US troops to conduct joint drills on the islands. The US had maintained permanent military bases in the Philippines, but the last of them was removed 25 years ago. 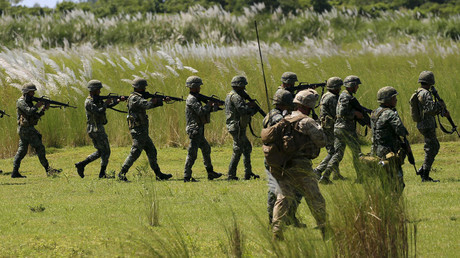 Since 2012, around 600 US military have been deployed in the Philippines to train troops, but their numbers have been reduced in recent years. China, in turn, offered the Philippines $14 million worth of arms, as well as a $500 million long-term loan for other Chinese equipment, such as small arms and motor boats. Apart from military cooperation, the Philippines are “seriously studying” opportunities of joint exploration of natural resources with China in the disputed waters of the South China Sea. “The basic challenge here is how to do it, whether with a US company or a British company or a Chinese company, so that you can have a joint venture or a joint development, whatever you want to call it, that is in line our constitutional requirements,” GMA News quoted Sta. Romana as saying. “The problem is more urgent for the Philippines rather than China because Malampata [gas field] may be depleted in 10 years. So we have to find a way to deal with it,” the envoy added. China and the Philippines still have much contradicting interests in the region, despite improved relations. The South China Sea is the center of these tensions between multiple nations contesting the waterway and offshore resources. China, Philippines, Vietnam, Malaysia, Brunei and Taiwan – which Beijing considers part of its territory – have overlapping claims in the region.